My wife reminded me that Valentine's Day is coming up, and that got me thinking about gifts. We like to give gifts that follow the same themes as anniversary gifts. Every year the gift has to be of a different material, according to the established list of materials. You give a silver ring on one anniversary, a gold necklace on another, and so on, depending on what year it is. It helps make Valentine's Day a little more interesting, so we're not always giving flowers or chocolate or cards that look like pink hearts. Well, I discovered recently that not a lot of people know about the List of Fantasy Anniversary Materials. This blew my mind, so I decided to write up a gift guide for all you clueless warriors, wizards, and fantasy creatures out there. I hope you enjoy it, and that it makes your upcoming anniversary or Valentine's Day that much more romantic! As the first fantasy anniversary material, parchment has little significance. Since it is made from the skin of a dead animal, it's difficult to make into a romantic gift, even if you scrawl your most heartfelt, gushing poems on it, pledging your undying love, etc. If your girl is into magic, she might enjoy a scroll containing a rare spell, especially if you researched it yourself. However, the rest of us will have to get by with a cheesy calfskin greeting card from HallMonk. At least the monks write good love poetry. With all that quiet time and sexual frustration, I'd write some mighty flowery verse, too. It's best not to go with the obvious joke gifts on anniversary number two. A punny gift will ruin your hopes of anniversary romance, even if you think it's hilarious. If you can get a unicorn horn, go with that. It's simple, elegant, and you can convert it into healing medicine if you get your wife a more dangerous gift in later years. However, unicorn horns are hard to get nowadays. Chimera horns can be interesting conversation pieces, as can dragon horns. If you make up a fantastical story about how you slew the beast to get its horn, that's even better. Just don't talk about killing unicorns: "Then, I chopped off the pretty white horse's head, and ripped out its horn! It wasn't so white or pretty then! Ha ha! Hey, why are you crying?" is one sure way to ruin the mood. Whoever decided that buying a piece of rubbery, fossilized gel for your anniversary gift ne eds to be frozen in carbonite (what, that's a sci-fi material you say? Hmm. Star Wars almost seems like fantasy to me). Whatever you do, don't get the ones with the dead things inside. Bad move. Many women hate bugs. It doesn't make it better for you to say, "Oh, but it's a metaphor for our love! It will last like this forever!" When I tried that line, my wife said, "You compared our love to a dead bug!?!" Couch time, big time. There's many options with fur. Some girls like fur coats. Just make sure she's not a PETA girl. Golden fleece is a favorite, if you can find it, or if your name is Jason (and you're an argonaut). However, it's best to keep this year's anniversary gift away from last year's. 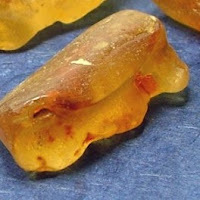 Amber and fur are known spell components for lightning magic, and an unstable pair, especially if you rub them together during a thunderstorm. Don't be that guy who has to explain to his mother-in-law why her beloved daughter is a pile of ash. Girls of the warrior persuasion like leather armor, from what I hear. There's also the option to go naughty with other leather items, such as whips, if you're into that kind of thing. Bezoars are nasty. They're clumps of swallowed hair, collected in the stomach over the years, or greasy, rocky lumps found in livers, gall bladders, and other unsavory places. Yuck! The only reason I can think that they were added to the list is because some women got paranoid due to year seven's thematic gift. Poison! It's the easy way out of the relationship, if you've got that seven-year itch. Of course, you don't have to kill your loved one, especially if you still love her. And I would never condone it in either case. Other options are sleeping pills, alcohol, opium, LSD, marijuana, Rohypnol, etc. Drugs are poison, too. I'd also be careful about any gifts you receive from her, especially if she feels as nasty about you as you do about her. And this gets us back to bezoars. According to legend, eating a bezoar can protect you against poison. Someone was thinking ahead! However, you couldn't get me to eat a bezoar, even if my life was on the line. Disgusting. 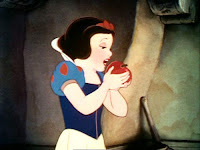 Little-known fact: Snow White received a poisoned apple as a seventh-anniversary gift from Prince Charming. She gave it to Grumpy to shut him up for a while, and everyone had a good laugh when he never woke back up. Feathers make beautiful headdresses, and can be incorporated into many types of clothing. Just like the horn and fur anniversaries, feathers from more exotic animals make better gifts. For instance, phoenix feathers are a long-time favorite, suitable for use in the creation of wands (see Harry Potter) and potions, or for casual display. They have a fiery, shimmering appearance, but cause no harm to the holder. However, care must be taken with them; misuse will cause one to turn to ash. Thankfully, if you start a fire over the ashes, you have a chance of restoring it. If you killed your loved one on the previous anniversary, and you're feeling bad about it, phoenix down can also be used to revive her. However, this method of resurrection has a high chance of failure unless she's a Final Fantasy game character not named Aeris (sorry Cloud). Little-known fact: Dumbledore gave James and Lily Potter a feather from his phoenix, Fawkes, for their eighth anniversary. This is the same feather that was used to craft Harry's wand. When Dumbledore handed the unasked-for present to James, Lily gave him the evil eye in response. Dumbledore replied, "What!?! My interest in James is purely platonic." Love potions really should not be necessary, guys. Don't make this mistake and look like a moron. If you're really desperate to rekindle the love in your relationship, and you haven't killed her off yet, at least have the intelligence to relabel the bottle. Potions of strength, stamina, heroism, slipperiness, and euphoria are classic gifts, perfect for a night of romance and adventure. This is such a popular combination, you can now get a convenient six pack down at your local Slay-and-Shop. Perfume counts as a potion, as well, but it's much less favored than the above (and no, this is not a paid Slay-and-Shop ad. But you have to admit they have a catchy slogan: World Class Food You Can Slay Yourself). Iron seems like a boring gift, especially for the monumental 10-year anniversary. However, it is a key material. It embodies strength, fortitude, and dullness (just kidding about that last one). It also has inherent magical properties that can be leveraged against evil fairies and spirits. Octiron is a risky variant, but an option. If she loves Terry Pratchett, there's a good chance she'll break into giggles when she receives it. If she hasn't heard of Pratchett, she may say, "I don't get it," or, "This isn't funny." Here's the best predictor for success: If your wife insisted that you hang that old poster of a shirtless Rincewind from Teen Heroine Magazine in your guest room, then go with the Octiron. If she is into Dungeons and Dragons, Cold Iron works. Only available in the D&D worlds, it will allow her to slay some nasty critters that would otherwise bug her to death. Everyone hates damage reduction. Dragon scales are the best option for year eleven. Anything made from them is sure to get you the adoration you deserve. Don't give her snake scales and get the old, "Oh, my brave man! You shouldn't have! Did you go kill this in the back yard, all by yourself, you twit?" However, there is a slight difficulty with the scales gift. Everyone loves the metallic scales better than the chromatic ones, which means that more good dragons die every year from poaching, and evil dragons are left to rampage. We really need to turn this industry around. Thankfully, there is a new line of chromatic scale products called ResponsiScales. They sell themselves as the responsible alternative that shows you are a hero who respects your fair lands and the good dragons that protect them. ResponsiScales are available at Slay-and-Shop. You can even kill the dragon yourself, and they have helpful workshops every Thursday that teach you how to de-scale your dragon carcass and fashion gifts from the scales. For the Crystal Anniversary, don't go home without a magical crystal. If you can get the shard of some dark and mysterious larger crystal (such as the Dark Crystal), this works well. Your wife gets to feel like she is a part of something bigger, even if the world is worse for it. If you live in one of the Final Fantasy game worlds, you can grab some Magicite or Materia for your girl, and she'll be just as happy. Not only do these crystals have the bonus of souls trapped inside, she can use them to upgrade her weapons or enhance her magic abilities. If you live on the island of Vvardenfell, or in one of the surrounding lands, you can also get crystals that allow you to trap souls yourself! Once a soul is trapped inside, one of these little crystals can be used to power your wife's magic spells. This is a great opportunity for another night out, this time on a mission to kick some monster tail, and not only take their names, but take their souls. Lastly, don't get her a crystal ball, thinking you are being clever. Without a doubt, she'll love it, but that's not the problem. The problem is that once she has that little bauble, she'll always know why you're late, why you didn't clean up the house, how the baby got hurt, etc., and none of your lame excuses will ever work again. The list is continued with Years 13 - 50 in Part 2. Is Valentine's Day coming up soon? Hey, thanks! I hope this list helps you pick out something thoughtful for Mrs. Troll, and not another hobbit you killed and had stuffed. Just because you told her that it was Bilbo when you gave it to her on your wedding day did not make it a good gift. Tomorrow, eh? Hmm. I'll go see if someone left any chocolates in the main office. Snag a coupla those, stuff 'em in an envelope - instant Valentine's day gift. The wedding present was not a stuffed Bilbo. :P (That's what she gave me. Duh!) The wedding present was pretty scripted. "I really want --present--." "When are you getting me --present--?" "Do you know I want --present--?" Normally I have a freer hand in these things. More Guts of "The Launch Rail Ticket"
Delving into the Guts of "The Launch Rail Ticket"
Feature Fiction! Short Short Serials!